 Sarsia Seed invest early in breakthrough innovations at the heart of science and technology that are enabling disruptive changes in energy intensive industries. The Sarsia team and its close network of advisors have deep connections into industrial markets and a track record of successfully discovering future disruptors in those markets. We have the processes and resources to build, mentor, scale and connect high-growth companies. Sarsia Seed has a network of over 300 potential co-investors and contributors to the portfolio companies. Cloud computing as in the delivery of computing services, such as servers, databases, storage, networking, software, analytics, amongst others, over the internet (“the cloud”) has become very easy to implement over the last 5 years. This approach has a number of advantages: Reduced capital expense for very high capacity computing, increased speed, higher productivity and high reliability. Cloud computing eliminates the capital expenses of buying hardware and software to run datacenters. Because most cloud computing services are provided on-demand, vast amounts of computing resources can be provisioned in minutes. Cloud computing also makes data backup, disaster recovery, and business continuity easier and less expensive, since data can be mirrored at multiple sites on the cloud computing provider’s network. WindSim has developed a software as a service platform to enable wind park developers and owners to optimize windmill location and power production. WindSim has developed under Sarsia seeds ownership to become a leading global supplier of these services with offices in North and South America, Africa, Central Europe and Asia. WindSim has more than 100 customers in China with an office in Beijing. The accelerating development of communication protocols, low power sensors, harvesting solutions, battery technology and cloud connectivity allow us to instrument, monitor and network things which had not been able to network previously. There are already more networked devices than there are people on Earth. Almost every object in the world will be networked within just a few years. Sarsia Seed assists companies in developing IoT sensors and business models from digital processes and products. The portfolio company Heimdall Power has developed a unique sensor to monitor the state of power lines to enable instant capacity increase and increased control. The sensors may be mounted on power lines of 420.000 Volts and communicate node to node up to a base station and ultimately a cloud connection. Heimdall will enable grid owners and wind park owners to increase power line capacity of up to 100% and thus enable trapped renewable energy to enter the grid.